UN 21 January 2015 – The United Nations agency mandated to protect cultural sites around the world will examine long-term conservation of Mali’s invaluable ancient manuscript collection at an international conference set to kick off in the country’s capital, Bamako, next week. The three-day gathering, scheduled for next Wednesday, 28 January, is being organized by the UN Educational, Scientific and Cultural Organization’s (UNESCO), the Malian Government and the Ahmed Baba Institute of Higher Learning and Islamic Research. Cultural heritage, including manuscripts, suffered severe damage during the occupation of northern parts of the country by armed groups in 2012 and 2013, and the insurgents burned or stole 4,203 manuscripts held at the Ahmed Baba Institute. Nonetheless, the local population was able to save 90 per cent of these documents, with the help of the non-governmental heritage organization. 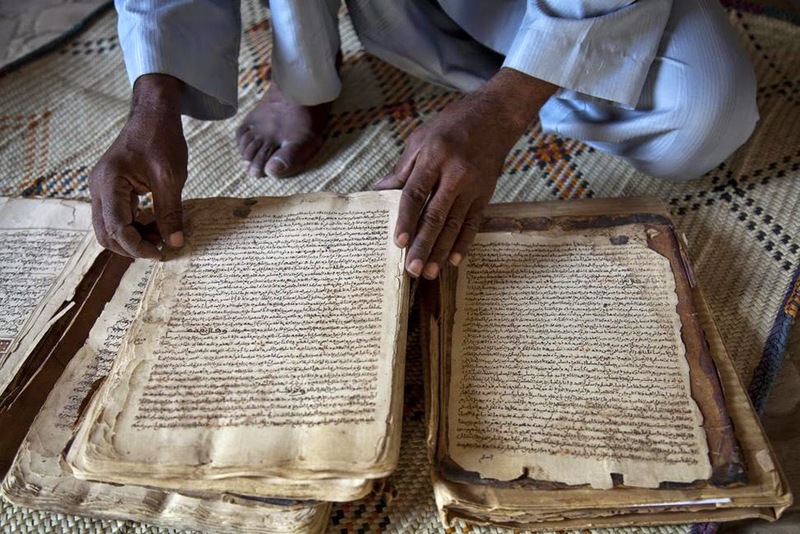 The conference, “Ancient Manuscripts Facing Modern Day Challenges,” will examine the future of the manuscripts that were smuggled out of Timbuktu in 2012 to Bamako, where they are still kept. Participants will discuss the historic importance of this fragile heritage and the role of local communities in its safeguarding. The agenda of the conference will also address issues relating to the fight against illicit trafficking and UNESCO’s activities to help preserve the manuscripts. Speakers at the event include scholars, representatives of cultural institutions, religious and local communities and policy-makers. The manuscripts of Timbuktu form a collection of several hundred thousand documents some of which date as far back as the 13th century. They include scholarly and theological works as well as commercial texts. They are written in Arabic and in African languages using different forms of Arabic script.